The number of veterinarians experienced in avian medicine is growing by leaps and bounds, as are advances in the field itself. Today, most folks keeping parrots, finches, budgies, canaries, cockatiels, quails and even such exotics as turacos and toucans are within reach of competent medical advice. Those living within driving distance of Mesa, Arizona, are in the enviable position of having access to the foremost exotic animal veterinarian of our time, Dr. Kevin Wright (phone consultations are also available). Co-founder of the Arizona Exotic Animal Hospital, Dr. Wright’s work with birds spans several decades in both the zoo world and private practice. Many informative care sheets, addressing medical concerns and general husbandry, are posted on the hospital’s website. Those of you with wide interests will find information on animals ranging from tarantulas to sugar gliders. The AAV lists practitioners by country and, within the USA, by state. The website is also a great source of information on the organization’s many worthwhile activities. Bird interest groups are great resources for those seeking a veterinarian, as they usually maintain a list of reputable practitioners. Local veterinarians may even be members, or speak at monthly meetings. Pet Station posts lists of bird clubs and similar organizations in the USA, Puerto Rico, Canada and the UK. You can also inquire about avian veterinarians at your local zoo or nature center – try calling the Department of Ornithology or the Volunteer/Docent Office if dealing with a zoo. Veterinarians who limit their practice to dogs and cats can often direct you to avian-experienced colleagues. 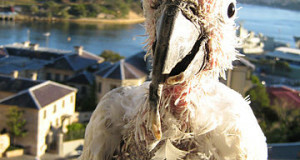 An informative article on choosing an avian veterinarian is posted here.